Every human being in the U.S. is literally on life support – plugged in to the electric grid. If somebody unplugs us, everything necessary to sustain our human population stops: food, water, fuel, transportation, medical, communications, financial – everything. The electric grid is vulnerable to numerous threats and we know (from this Senate report) that in a long-term national-scale blackout, millions of U.S. citizens could die. After only a few weeks, we would die in droves from waterborne diseases, starvation and societal collapse. And what if the grid went down for longer than a few weeks? But let’s back up. What is the electric grid and how is it regulated? What is the electric grid? First of all, the North American electric grid is an amazing human accomplishment. It is the largest machine in the history of the world, built piece by piece over many generations. But what is it exactly? The bulk power system – or “the grid” – is actually over a thousand companies, both public and private sector, that operate in an interconnected system to facilitate the generation, transmission and distribution of electrical power. (No one company owns “the grid” – literally thousands own pieces of it!) The grid is made up of power generation – such as nuclear, coal and gas-fired power plants, wind turbines and solar farms, high voltage transmission lines that span long distances across the country and local distribution lines which bring the power from the street to your house. This interconnected – and vulnerable – patchwork is what allows the United States to support her human population. Everything that enables 325 million people in the country to survive is wholly reliant on the grid. 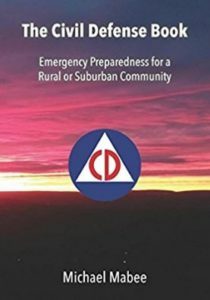 All of our critical infrastructures – food, water, fuel, transportation, financial, communications and medical systems are all 100% dependent on the grid. How is the grid regulated? The Energy Policy Act of 2005 added Section 215 to the Federal Power Act. This gave FERC the authority to certify an organization as an “Electric Reliability Organization” (ERO) which would develop reliability standards for the industry, subject to FERC’s approval. Yes, you read that right – the industry writes its own reliability standards. On July 20, 2006, FERC certified NERC as the ERO. Other entities objected and administrative appeals and litigation ensued. Section 215 does give FERC the authority to “upon its own motion or upon complaint, may order the Electric Reliability Organization to submit to the Commission a proposed reliability standard or a modification to a reliability standard that addresses a specific matter if the Commission considers such a new or modified reliability standard appropriate to carry out this section.” In English, FERC can order NERC to develop a particular standard and submit it for FERC’s review and approval, but this again is very time consuming. Who funds and controls NERC? In other words, two sectors are customers and one is the government. The other nine are the electric industry. The electric industry gets 9 votes – the customers and the government get 3. If that is not a stacked deck, I don’t know what is. So NERC is literally funded, run and its leadership elected by the electric utility industry that it allegedly regulates. If the grid does not want to be regulated, it has means to resist being regulated. Thus, FERC (the government) can’t easily tell NERC (the industry) what to do. Moreover, in this structure, the “ratepayers” have little voice. But the need to secure the grid and the dependent critical infrastructures is a national security issue – an issue of survival for families and the country. Believe it or not, the grid is actively fighting efforts to (ahem) protect the grid. We have seen this lately in the fight for cybersecurity regulations, as well as the fight for EMP and GMD protections. We have also exposed a massive coverup of cybersecurity violators which endangers us all. Who pays for the lobbyists who fight against electric grid security? If you are an electric customer and pay an electric bill, you are paying for NERC and thinly veiled industry lobbying groups like the Electric Power Research Institute (EPRI) and the Edison Electric Institute (EEI). Both of these groups are funded by the electric utility industry (which is funded by you) and both EPRI and EEI have been stumbling blocks in protecting the electric grid. Perhaps the most disturbing thing about this whole scheme is that there is no federal law that says that the grid has to protect itself from hazards and threats. In fact, as previously noted, “itself” is thousands of separate companies that regulate themselves through NERC. Our very survival is dependent on the industry’s willingness to do the right thing. They are not required to do the right thing. 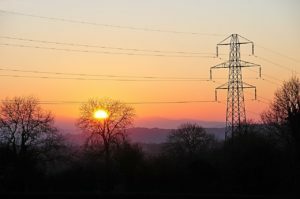 The industry will occasionally do the minimum that they feel they have to do to avoid the government getting off its slow and lumbering buttocks and doing something drastic to protect the grid – and the United States – from catastrophe. But is the minimum enough to protect your family and the security of the United States? 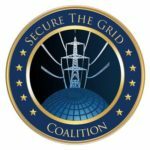 Many of us in the Secure The Grid Coalition believe that it is not. It is time for the federal government (FERC) to step up and insure that we secure the grid from threats such as EMP, GMD, cyber-attacks, extreme weather and errant tree branches. What Can We Do To Secure The Grid? We can all get involved and be heard! Federal agencies are required by law to follow procedures when implementing or changing regulations. One requirement is the agency must allow public comments and must consider the comments they received. Also, interested persons can petition a federal agency to start the rulemaking process on an issue. For example, the Foundation for Resilient Societies petitioned FERC on January 13, 2017 to institute rulemaking because the U.S. electric grid is vulnerable to cyber threats and the current regulations did not adequately address the threats. This petition was met with instant opposition from the electric industry. Not surprising. However, citizens made a difference. When FERC issued its final rule, although perhaps not a strong a rule as we would have liked, citizens filing comments in this docket (largely members of the Secure the Grid Coalition) moved the needle and forced FERC to make a stronger rule than the industry proposed. The citizens of the U.S. won that round – but it requires vigilance and action! We have our friends at the Foundation for Resilient Societies to thank for keeping watch! Go to the TAKE ACTION page to find out what you can do! “Black Sky” is a video by the Electric Infrastructure Security (EIS) Council. This is a critical message for America.